I love dressing my kiddos up in fun (and safe) Halloween costumes! I have a closet dedicated to all their stuff including many costumes! I have to admit though, I had never made them their own costumes. I know, that seems crazy given I love DIY projects for my dogs, but I just never made the time for it as the holidays crept up. 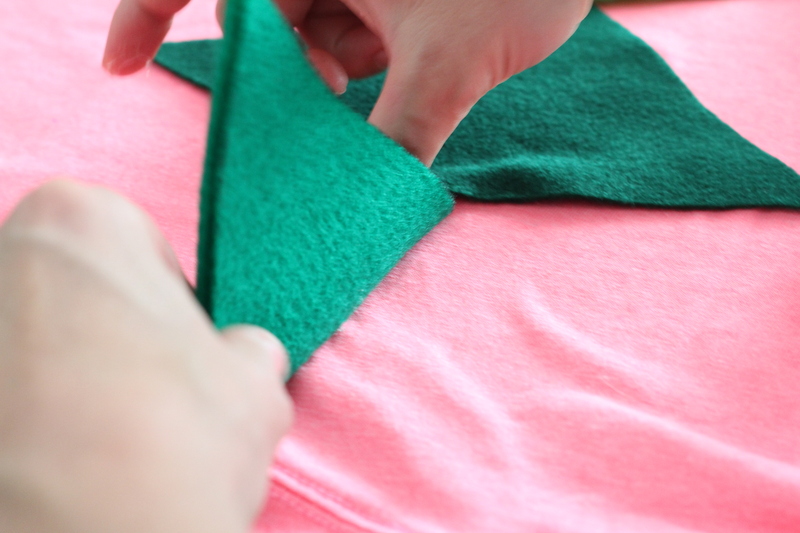 Since starting this blog though, I am able to prioritize my time for DIY projects I love to do! I wanted to make a costume that was pretty simple and wouldn’t break the bank either. I also love a good tutu so I wanted to incorporate those into the girl’s costumes. Each costume cost around $8 total for the t-shirt, felt, tulle and elastic supplies. I had the sharpie, glue gun, tape measure and fabric scissors already. 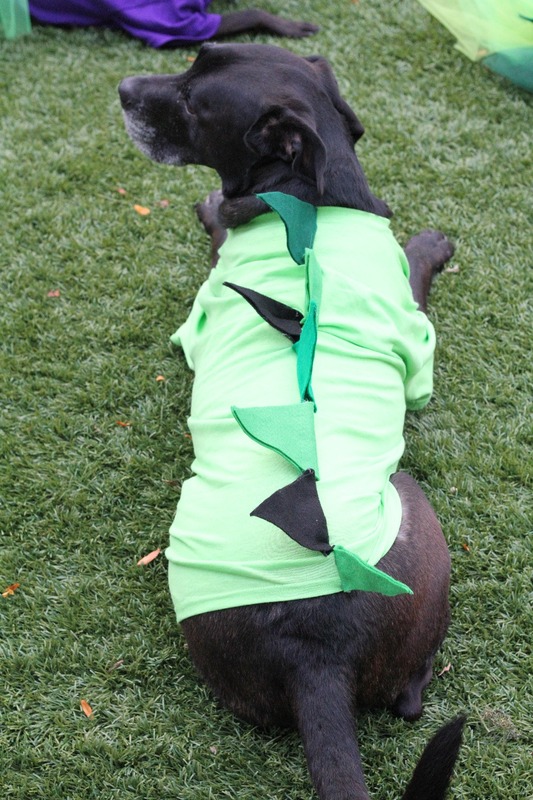 Below are the instructions for my DIY Dinosaur Costume! 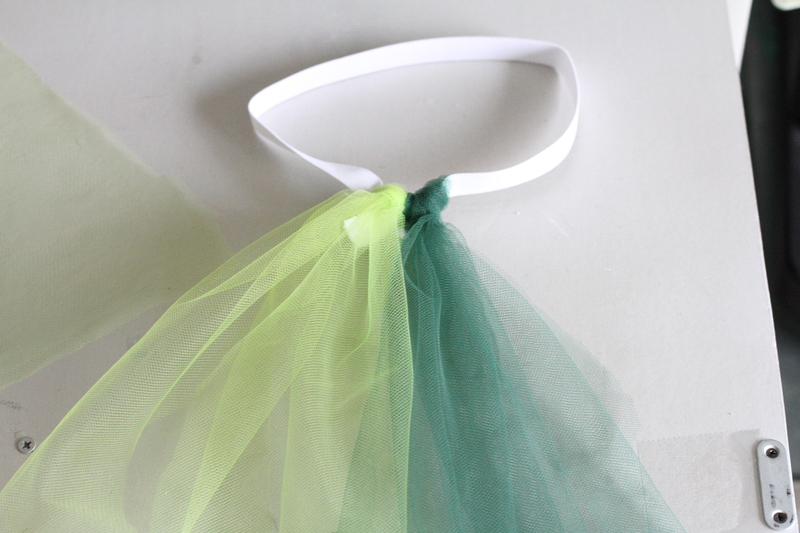 Tulle -I used 3 different green colors from Joann’s. I share my measurements in the post. Elastic -in white or black, here is the one I used. 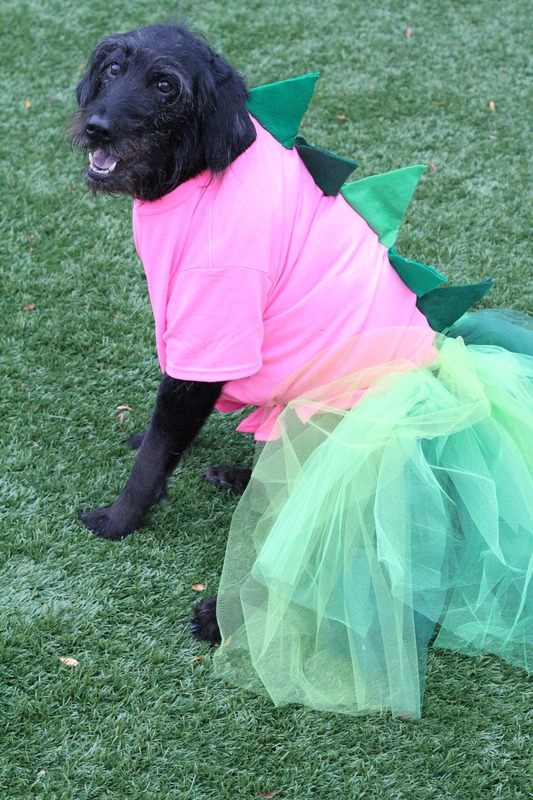 1.Make sure the t-shirt fits your dog properly, there will be some baggy excess fabric under your dog’s belly. Test the fit out on them and while it’s on pull the underside taut toward their back leg and draw an angled horizontal line on each side of the shirt. Cut along the lines on each side and then to connect the line cuts so the fabric gets cut off. 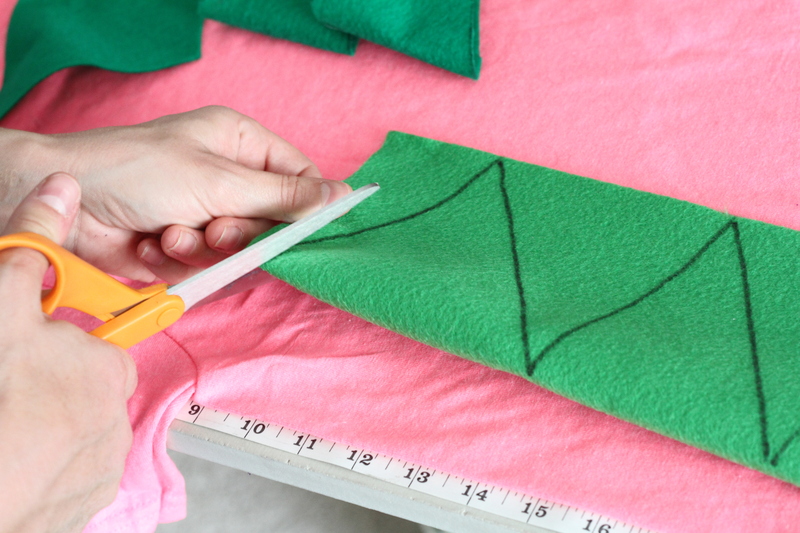 5.You want to draw straight lines into a triangle using the tape measure and sharpie. I didn’t measure this out too specifically because I wanted the dinosaur ‘spikes’ to vary and be a large width of about 3-3.5 inches. The last spike is smaller at about 2 inches. 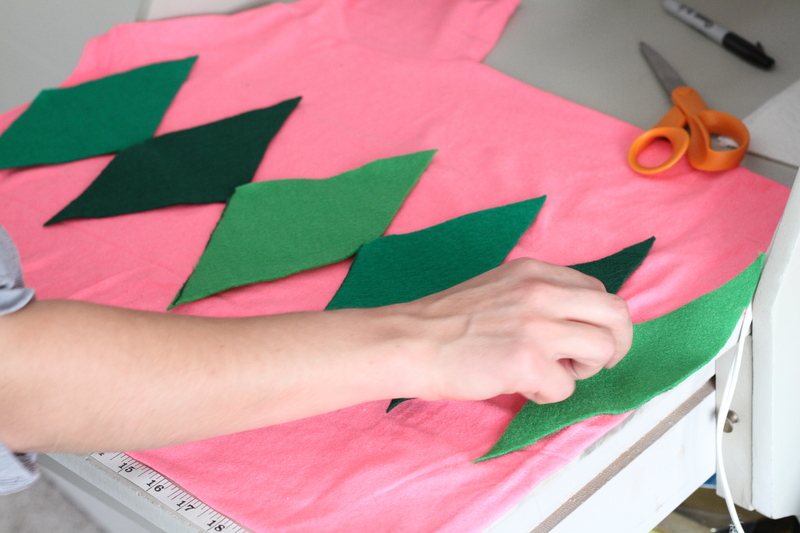 6.Cut out the triangle along the lines you drew. 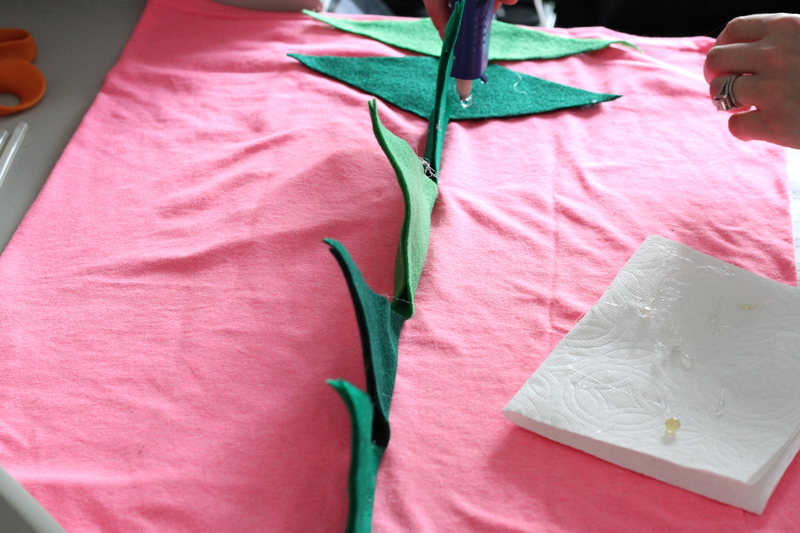 It isvery importantto draw and then cut the felt from the fold up. 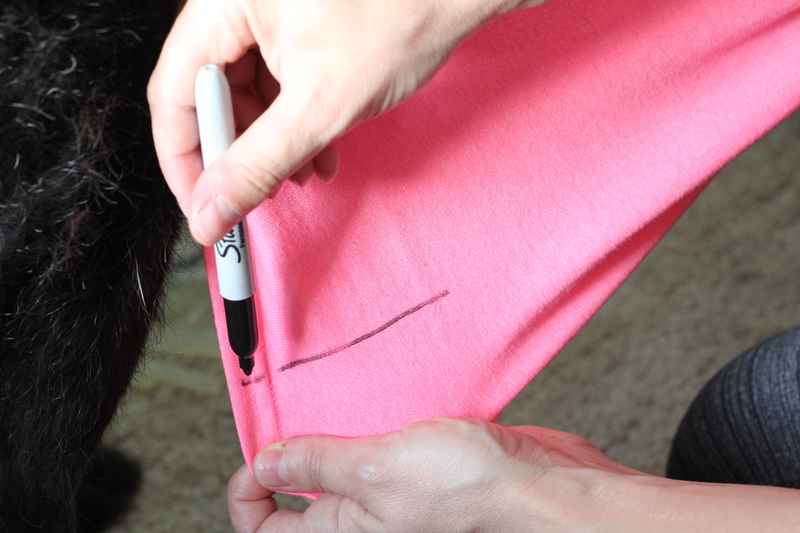 7.Lay out the top of your dog’s shirt and place the felt spikes up and down. 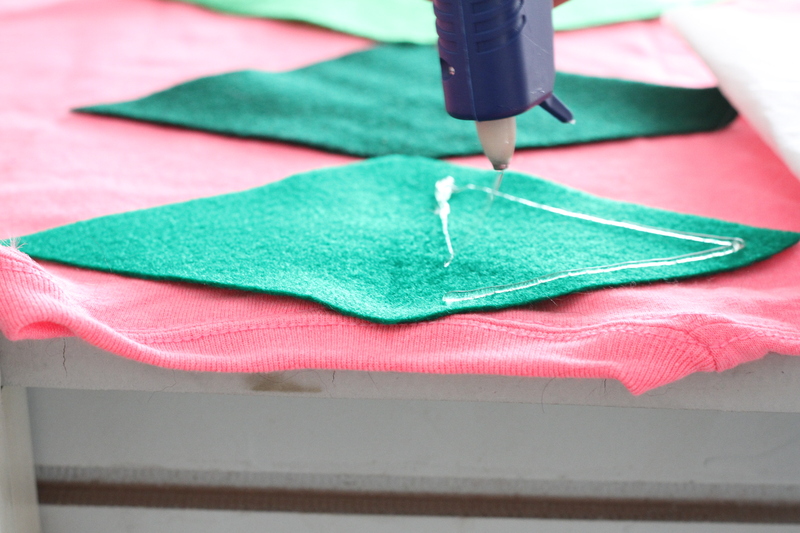 You’ll want to lay the sharpie side of the felt spikes facing up in case there are some draw lines on there. 10. 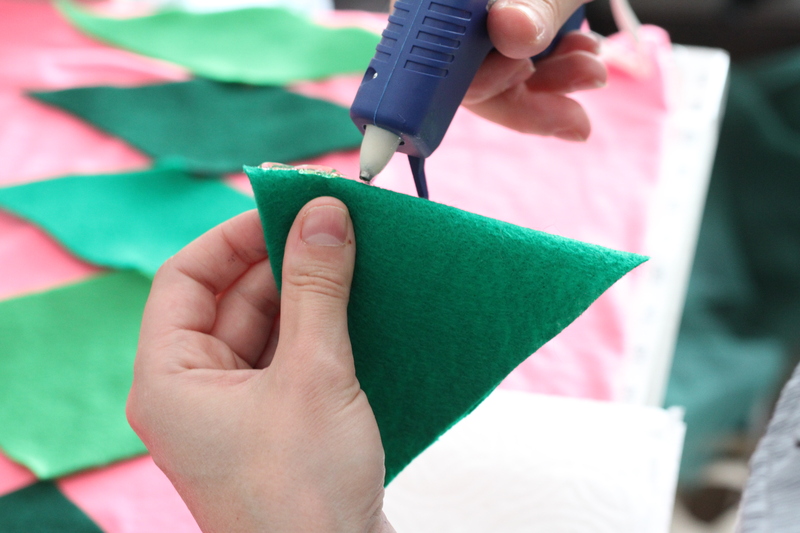 Place any additional glue needed around the edges or tip of the felt spikes. 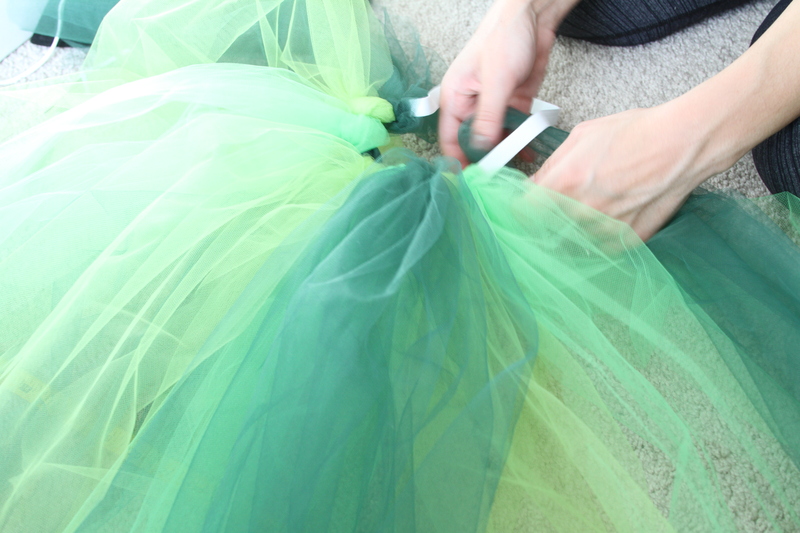 Set aside to dry completely while you make the tulle tutu. 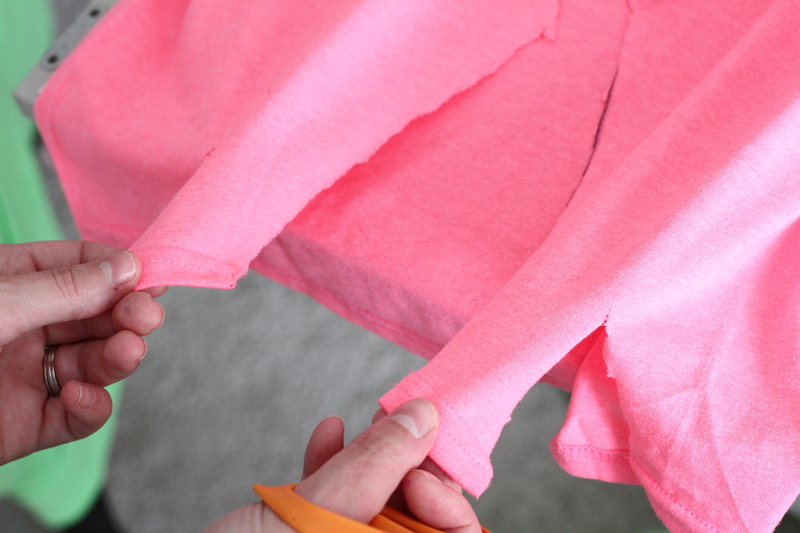 11.Here is my no glue, no sew hack for making an elastic waistband for a tutu. 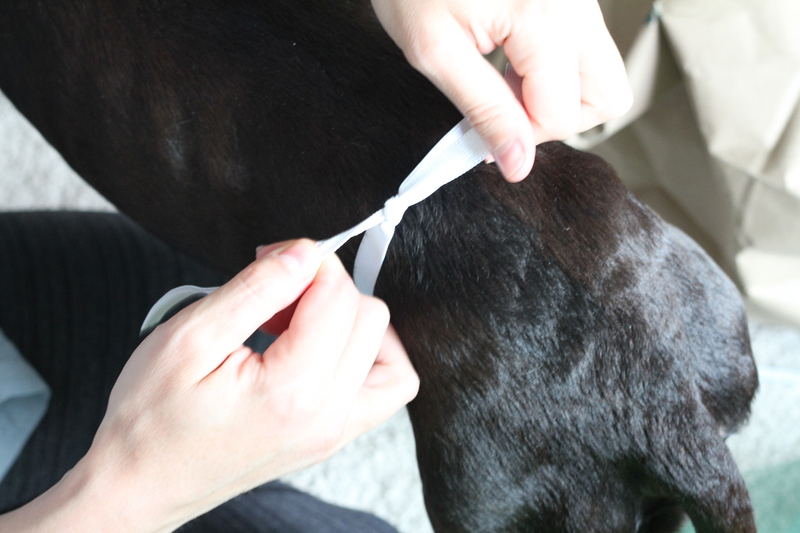 Take your elastic and wrap it around your dog’s waist – it doesn’t need to be too tight because it is elastic, but does need to fit snug so it doesn’t fall off. 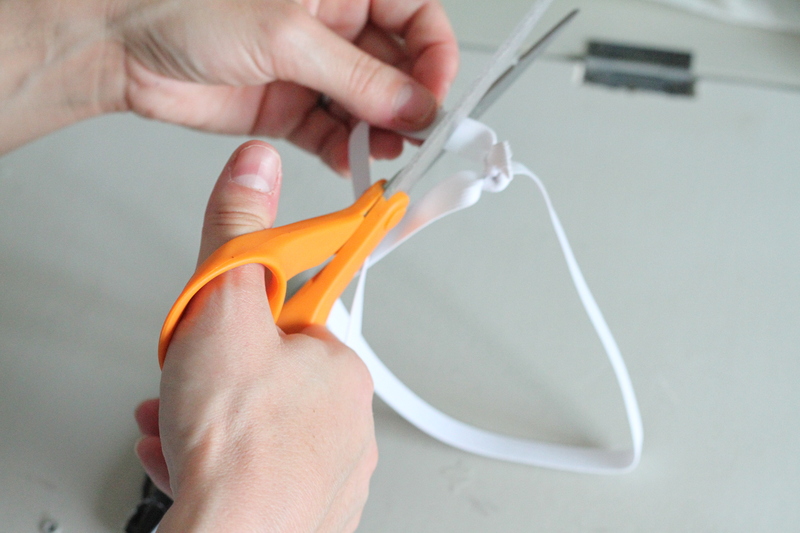 Tie the two ends of the elastic together and cut the excess off. 12. 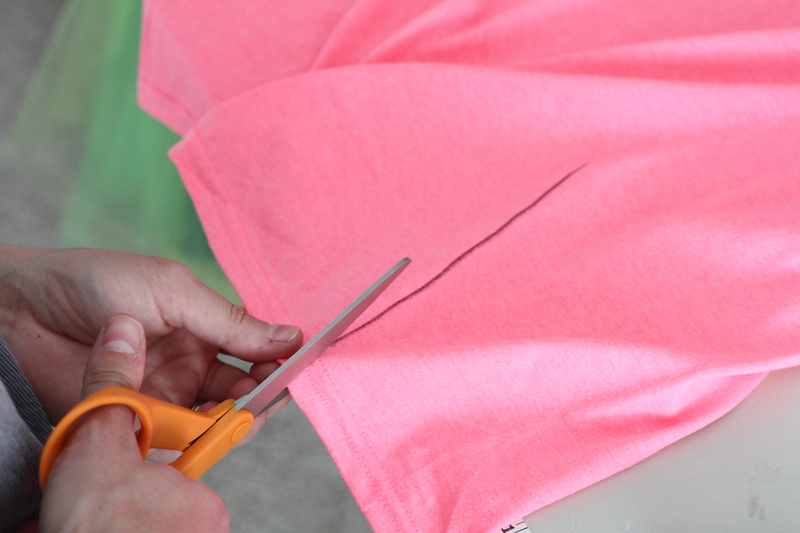 And here is my no sew no glue hack for applying the tulle to the elastic to create the tutu! 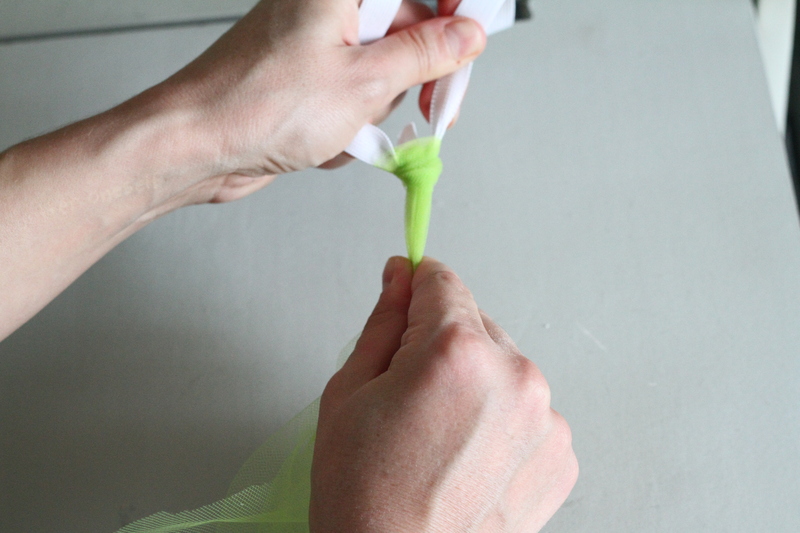 Take your tulle piece and fold it in half. 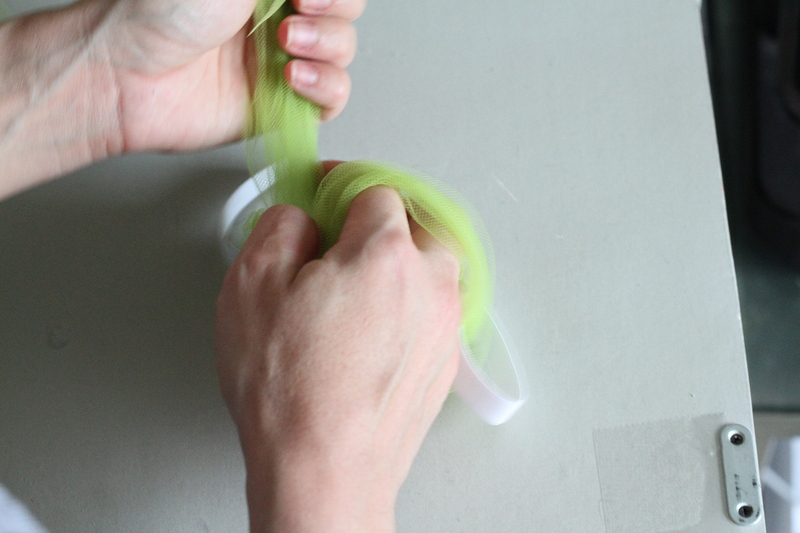 Place the folded tulle under the elastic band and create an opening at the fold. 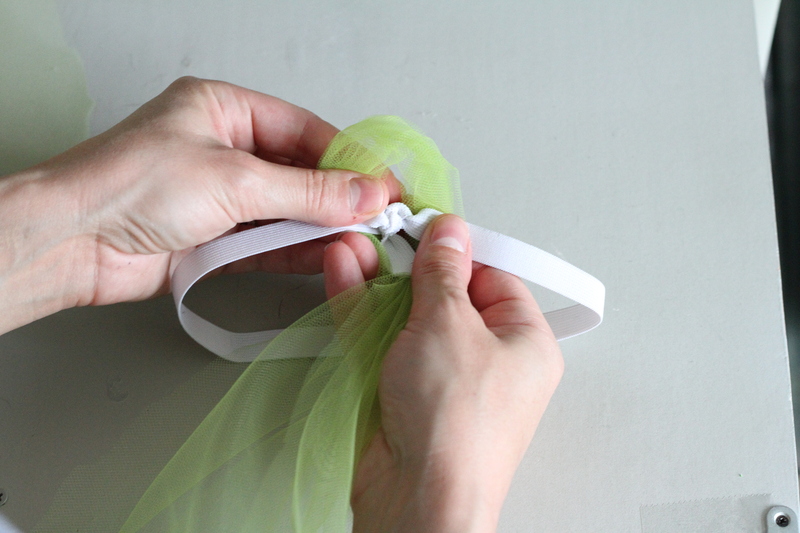 Take the rest of the tulle piece and put it through the opening to create a knot. Pull it all the way through to tighten. I made two different tutu’s, one for Mylah and one for Izzy. Izzy is about 50 pounds and is taller than Mylah. 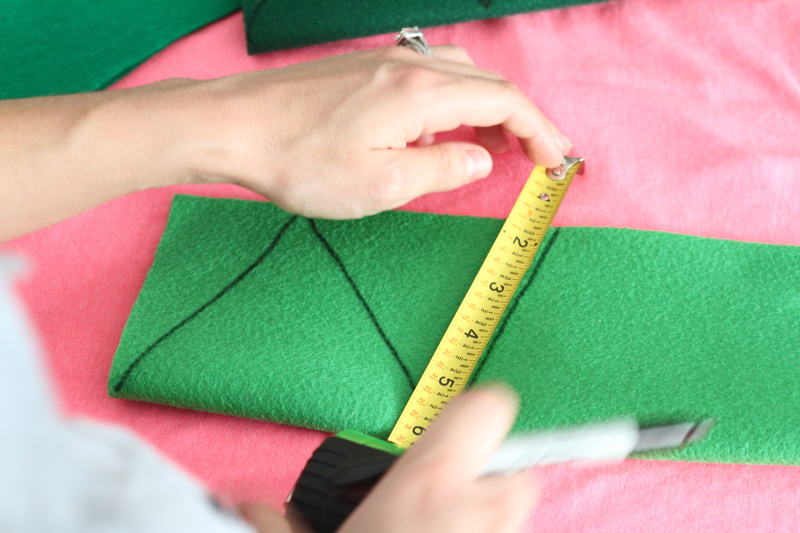 Izzy’s tulle measurements were 13 inches wide and 40 inches long, then folded in half to be 20 inches long. Mylah is about 30 pounds and her measurements were 10 inches wide and 30 inches long then folded in half to be 15 inches long. 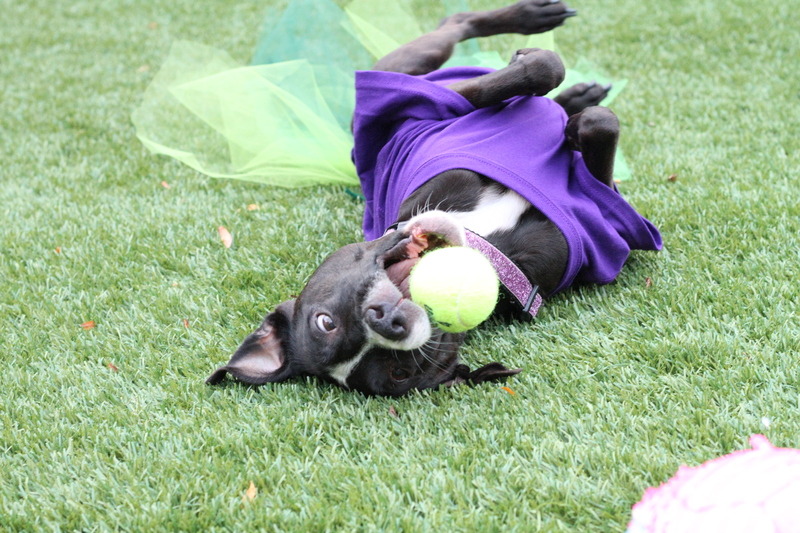 I purchased around 2 yards of each color of tulle and purchased three different colors of green. I have some left over that I will use for something else. I LOVE how these costumes turned out! 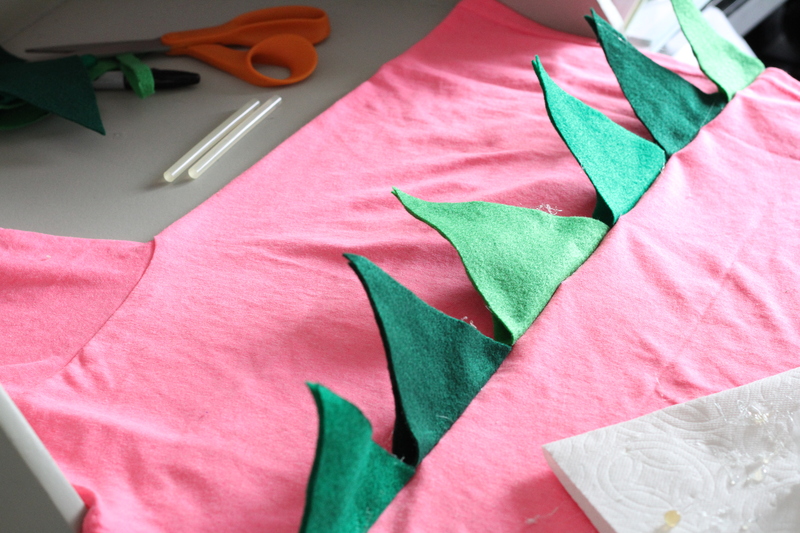 Although this is a lengthy description it only takes about 40 minutes to make each girl’s costume and a half hour for just the dinosaur shirt. Look how cute my little dinosaurs are!! 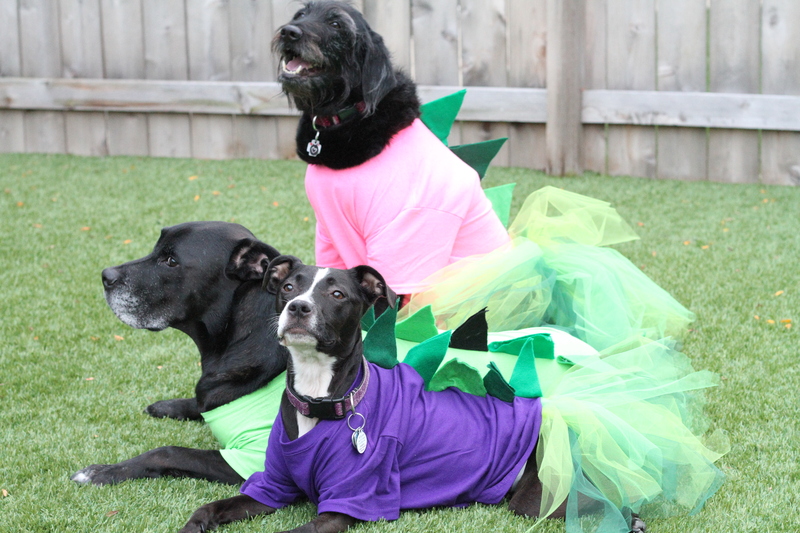 Are you and your pups dressing up for Halloween? Let me know what you’re planning below! Check out my fall inspired baked treats made with fresh pumpkin! Click here for the recipe!